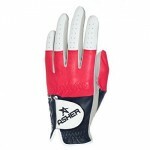 As a beginning golfer, one of the first clubs you are going to want to purchase is the driver. You don’t actually need a full set of 14 clubs to get started in this game, but you are certainly going to need a driver (in addition to a putter, a sand wedge, and at least a few irons). By picking out a quality driver to add to your set, you can get your golf equipment collection off to a good start. As you gain experience in this game you can slowly add to your bag until you have a well-rounded set of clubs. Of course, if you don’t have much experience in golf, heading to the local golf store to purchase a driver could be a rather intimidating experience. There is an incredible number of options to pick from, and they are all marked with information that may not mean much to you at the moment. Fortunately, all of this is pretty easy to learn, so let’s walk through a few of the key points to keep in mind before you make a purchase. What to Keep in Mind When Buying a Driver? Club head size – This is the easy one – you are going to want a driver with a large club head. Golf club heads are measured in volume, and 460cc’s is the largest allowable club head under the rules of golf. Using a large club head is going to provide you with added forgiveness in your swing, as the face will be large and you will be able to miss-hit the ball slightly while still achieving decent results. Fortunately, the majority of clubs on the market feature a 460cc head, so this point will not be difficult to locate. Shaft flex -The next key point to watch for when shopping for your driver is the flex rating of the shaft that comes in the driver. While naming conventions vary slightly from brand to brand, most of the shafts you will find will be rated for flex as Regular, Stiff, or Extra Stiff. There are also Senior and Ladies flex shafts, if you happen to fall into one of those categories. It is absolutely critical that you find the right shaft flex for your swing. As a beginning golfer, you will likely need a Regular flex shaft, although that is not a given. The best thing to do is to visit a local golf shop for a quick club fitting session. By measuring your swing, the golf shop will be able to recommend the right shaft flex for your needs. Loft – Another element in this equation is the loft of the driver that your purchase. While most professional golfers use a relatively low-lofted driver, you are not on the same skill level as those players (not yet, at least). So, as a beginner, you are going to want to purchase a driver with plenty of loft to help you get the ball up in the air nicely. 10.5-degrees of loft should be considered a starting point, but don’t hesitate to go even higher if you find a club that you like with 12-degrees or so of loft. 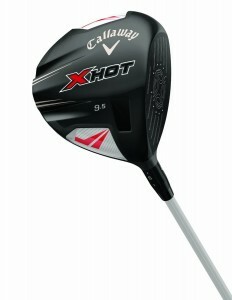 Today’s clubs are usually loft adjustable as well, so you may be able to tweak your loft after you purchase the driver. Cost – It would be a mistake to end this list without briefly touching on the subject of cost. Golf clubs can be expensive, which is a fact that you have no doubt learned as a beginning golfer. When just getting started in the game, it is important to keep your budget relatively under control. Sure, you want to purchase nice clubs, but you also need to make sure you give your game room to grow and develop. The right driver for you as a beginner may not be the right one for you in another year or two, so don’t look at this as a long-term investment. Purchase a club that has a reasonable price point with enough quality to get you started – shopping used is a great way to go. There will be time later to spend more money on a nicer driver after you learn the ropes of this difficult game. As you get started on the search for the right driver, consider taking a look at the three options listed below. Each of these would make for a solid driver for the beginning player. 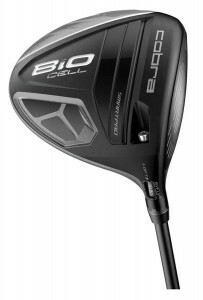 Cobra is one of the leading names in golf equipment, and their Bio Cell Golf Driver is an option worth careful consideration. There are a number of unique features which make this club attractive, including eight adjustable loft settings, a neutral/draw bias weighting to help you eliminate that dreaded slice, and a sole design that helps you set up square at impact. Also, as an interesting touch, you can order this driver in a number of different color options including Silver, Black, Red, and Blue. Cobra was acquired by Puma SE in March 2010. Continuing with the theme of respected, trusted brand names, we turn next to Callaway. 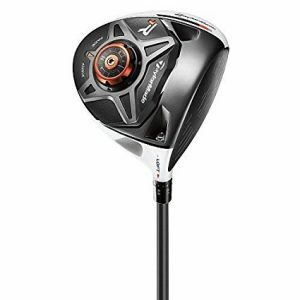 This model is called the X Hot Driver, and it carries all of the quality and performance characteristics that you would expect from such a well-known brand. The X Hot is adjustable in the hosel to allow you to customize the face angle, it has a lightweight design, and a lightweight Project X Velocity shaft. While the loft cannot be adjusted on this model as it can on the Cobra, this remains a strong pick to consider. We end our list with a driver from the leader in the driver market, TaylorMade. This is the company that brought golf the first metal driver many years ago, and it continues to lead the way today. The R1 Driver has many of the features that TaylorMade has made famous, such as adjustable loft from 8 to 12-degrees, as well as moveable weights that help you control the pattern of your shots. Many consider TaylorMade to be the gold standard when it comes to drivers, so this is naturally a model that you will want to see for yourself.